We were delighted to hear that Chris Myers, our Ambassador and award-winning garden designer, struck gold once again with his latest leafy masterpiece at the RHS Cardiff Flower Show at the weekend… and scooped the highly prized award for Best Show Garden! 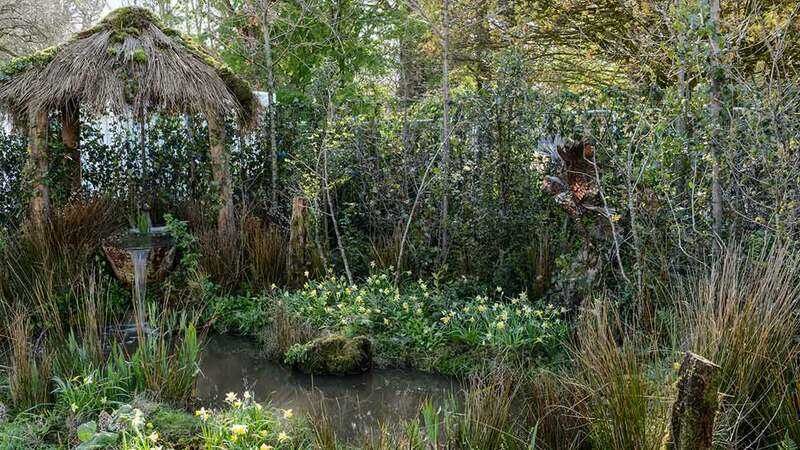 Chris’ pretty woodland and water garden tells the Welsh mythical story of Blodeuwedd, whilst drawing subtle inspiration from closer to home – the Yorkshire Dales, where Chris lives and works. The woodland setting and wild flower planting was inspired by the woods seen by Chris around his home; specifically the Laund Oak woodland on the Bolton Abbey Estate which he passes most days, and which incidentally is one of YDMT’s supporter woods (you can read more here). 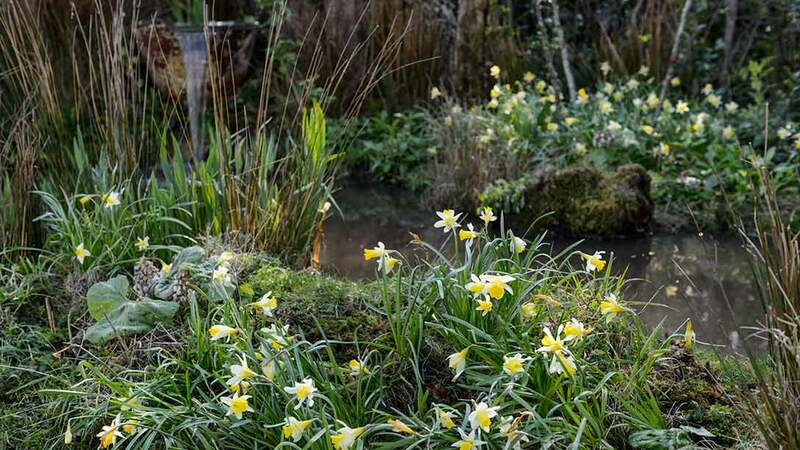 The spring blooms used in the garden included our native daffodil (Narcissus pseudonarcissus) which Chris has admired in Farndale in the North York Moors, and a range of native meadow species, inspired by the wonderful wildflower hay meadows of the Yorkshire Dales. The sculpture of Blodeuwedd as an owl was created by Michael Kusz – a sculptor living and working in Reeth in Swaledale. He cut each feather out of old copper hot water cylinders and then welded them together one at time to create the finished piece. The Yorkshire connections continued with plants being supplied by Johnsons of Wicksley, and a living ivy screen supplied by Green Tech near Harrogate.